A eureka moment is the sudden realization of a solution to a problem. It’s a joyous moment in the decision-making process and, in many cases, comes as a result of tuning into our intuition. Intuition is the ability to know something from a sense of instinct rather than intellectual reasoning. It is an inner knowing which is accessible to us all and it can guide us through life. Its guidance comes in the form of that gut-feeling so many of us can recognize. While we receive intuitive impulses each day, learning to feel them and, more importantly, trust them, takes mindful attention. An intuitive “yes” to a problem can feel comfortable, energizing or flowing, whereas an intuitive “no” can feel heavy and full of discomfort. 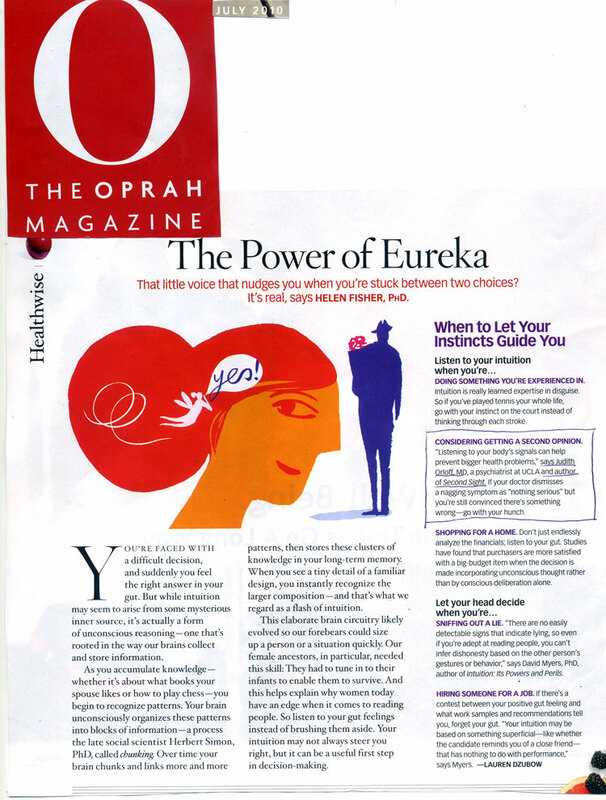 In this Oprah Magazine article,, I share the importance of trusting your intuition when it comes to making decisions about your health.